Who was Habib `Abd al-Qadir al-Saqqaf? 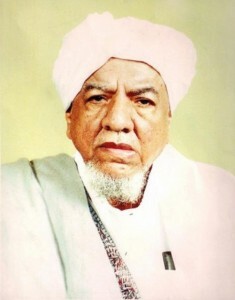 You are here: Home / Biographies / Who was Habib `Abd al-Qadir al-Saqqaf? He was a complete and perfect heir of the Prophet ﷺ. His father and all his forefathers were representatives (khulafa’) of the Prophet and he inherited this khilafah from them. They rejected the deceptive dunya and never strove to attain anything of it. Whatever came to them they quickly spent. Taqwa was their garment and shyness was their attribute and the Most Compassionate was the One they sought in their words and deeds. May we live according to their way.